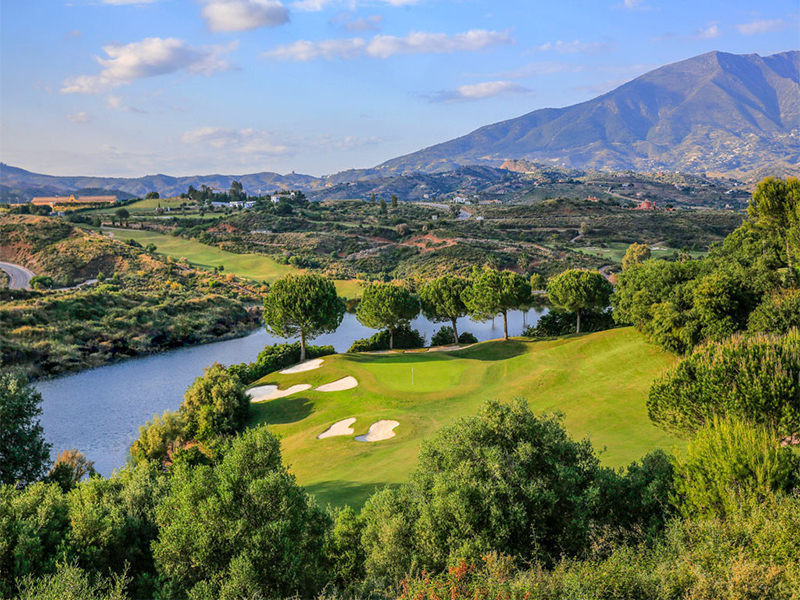 For the seventh year in a row, magnificent La Cala Resort, in the South of Spain, will be the stage for the 2019 Alps Tour Qualifying School. Not less than a total of 250 players representing 27 countries will compete aiming to gain one of the 35 places available for the best category at stake – Category 6 – for next year and, in other words, for having a spot guaranteed in all the tournaments of the 2019 season. The First Stage takes place on December 9th and 10th on all three courses of the beautiful Costa del Sol venue – America, Asia and Europa – with about 180 players trying to get their place in the Final Stage after 36 holes. The best among them – the exact number will be announced only after all participants have teed off in the first round – will join those players who have already gained an exemption in the Final Stage due to a number of circumstances – like their results in the past season, or the participation in the European Amateur Team Championship, for example. On December 13th and 14th, Asia and America courses will then welcome a total of 144 players who will play two rounds of 18 holes; after that, the field will be cut to the leading 65 players and ties, and they will have to give their best on the last day of the tournament, December 15th, on Asia course. Alps Tour is a third level organisation for both professional and amateur players, a fantastic field of training for those aiming to the highest levels of tournament golf – Challenge Tour, European Tour and beyond. Some really talented players have sharpened their skills on the Alps Tour, like Englishman Matt Wallace, 28, who only two seasons ago won six tournaments and the Order of Merit of the Alps Tour, gained access to the Challenge Tour the following year and soon progressed to the European Tour, where he won 3 tournaments in 2018 and ended the season on 10th position on the Race to Dubai, with nearly 2,9millions euros of prize money. In 2018, notwithstanding an uncertain economic environment, Alps Tour organized 16 tournaments encompassing six nations, for a total prize money of over 665,000 €; and, like every year, the final ranking rewarded its best players: five of them were promoted to the Challenge Tour – Spaniard Santiago Tarrio, Frenchmen Alex Daydou and Louis Cohen-Boyer, Marcus Mohr from England and Andrea Saracino from Italy, while David Borda (Spain), winner of the Alps Tour Grand Final, was admitted straight to the Second Stage of European Tour Qualifying School thanks to his position in the ranking and went on conquering one of the coveted spots on the main Tour.